As soon as your garage door has a problem that requires attention, it is advisable that you contact All County Garage Doors in Jacksonville, FL. Leaving the door unattended to opens the situation to escalation into a worse problem. Fixing a door that doesn’t open as it should, or attempting to repair a door that has noises that you haven’t heard before could lead to mistakes. These avoidable mistakes may prove costly, not only in repair costs but also to the owner. All County Garage Doors’s expert technicians understand the technicalities of garage doors and can make sure your door is returned to its full operation capacity with minimal damage. Our prowess and know-how give us the confidence to repair your door quickly. It is also advised that if you notice that your door is exhibiting signs of aging, you should call out technicians for a routine inspection and probable follow-up repair. Progression of wear and tear can cause the door to stop working altogether, to the detriment of your day schedule. 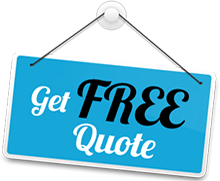 All County Garage Doors has been at the forefront in assisting the business community and individuals in the Jacksonville to reduce costs and save time with our solutions. Let us assist you too. Garage doors are made up several parts. Each part’s movement is dependent on the previous part in a complex interdependence. In theory, it seems simple, but when it gets down to the real mechanics, it is a complicated procedure. If a single cog in the machinery does not work, the whole operation is in jeopardy. The importance of routine checks and inspections cannot be emphasized enough. All County Garage Doors door specialists are equipped to inspect and repair your garage door and get it back to optimum operational capacity. 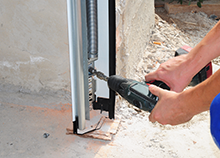 All County Garage Doors inspects all the components vital to your door’s operation, including the remote door opener, the springs on both sides, cables, tracks and hardware. They have an eye for detail that they use to point out anything unusual. They can easily identify serious breaks and any potentially damaging wear and tear. All the parts of the door are carefully analyzed so that the technical team on-site can offer well-informed suggestions on follow-up repairs. Maintenance procedures that our team may suggest include part replacement, oil application to the necessary parts, tightening bolts, adjusting spring tension. These corrective measures give your door longevity. Door breakage can be caused by many factors. The cause may be accidental or wear and tear from daily usage. The cause of the breakage does not undermine the fact that your door doesn’t work as it should, and the safety of your premises has been compromised. All County Garage Doors seeks to address these problems by fixing garage doors immediately they are called. All County Garage Doors experts not only arrive at your location fast, but they also service your door in the same manner. We can be reached 24 hours a day if you have an urgent need. By fixing your door in the least time possible, we make sure you can get back to work and seamlessly continue with your day. Our team of professionals does not lack in expertise required to fix any garage door issue, no matter the brand or mechanics involved. Our clients count on us to make sure that their doors are working efficiently. 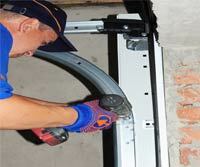 Garage door tracks are what is responsible for the correct opening and closing of the garage door. Should the door leave the track for whatever reason, the door may probably not work. When a cable breaks or the cable disintegrates from age or frequent use, the garage door will most likely leave the track. Similarly, if the cable gets wet or is subjected to too much heat, the garage door will leave the track. Cable breaks typically happen on one side of the track, and these breaks occur when the door is rising. There are other reasons for the garage door leaving the track. One of them is blockage during closure. The cause of the door leaving the track is not as important as acknowledging the fact that your door no longer works as it should. It is in this instant that you call in the experts at All County Garage Doors. We quickly put back the door on track and make sure the door is working as it should. One of the things to avoid is attempting to repair the door by yourself. It requires skills and equipment that only experts possess. If the garage door repair does not go as planned, there is a possibility that the whole mechanism may be destroyed. Not only that, but it poses a danger to you and your valuables. To keep your property safe and secure, you can always call us, and we shall dispatch our teams to the site in Jacksonville, FL to address the problem.